Not every day is the same; People need to have flexible commuting options. Riding Wheels is a great way to reduce commuting costs, enjoy a stress-free trip to work and help the environment too! For personal commute planning assistance, call the Wheels Customer Service Center at (925) 455-7500. New to public transit? Wheels provides free trip planning assistance, including how to read bus schedules and maps. For more information call the Wheels Community Outreach Coordinator at 925.455.7555. 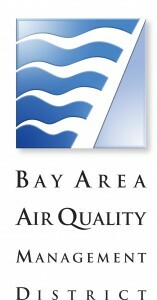 Provides commuter information for the Greater Bay Area, including bus, ferry, rail and paratransit service. Regional planning organization for roads and transit in the San Francisco Bay Area, California. Planning, funding and delivery of a broad spectrum of transportation projects and programs to enhance mobility throughout Alameda County. Take advantage of Alameda County’s Guaranteed Ride Home Program. Click here to register. Connects the San Francisco Peninsula with Oakland, Berkeley, Fremont, Walnut Creek, Dublin/Pleasanton and other cities in the East Bay. BART provides fast, reliable transportation to downtown offices, shopping centers, tourist attractions, entertainment venues, universities and other destinations for Bay Area residents and visitors alike. 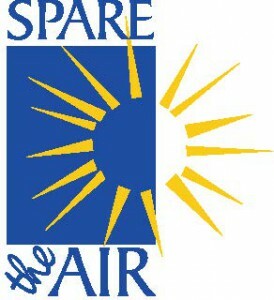 Provides education about air pollution and encourages people to change their behavior to improve air quality. Provides commuter rail service between Stockton and San Jose, California. To help introduce your employees to the various commute options available to them, Wheels offers employers the opportunity to host a free Commuter Fair at their worksite. All you have to do is provide a table and Wheels will do the rest. Our knowledgable staff will work with your employees and provide them with a convenient and affordable commute alternative. To help generate awareness of your Commuter Fair, Wheels will provide you with posters and an e-blast message to send out one week prior to the event. Commuter Fairs can be arranged by contacting our Community Outreach Coordinator at (925) 455-7555. Hacienda employees and residents are eligible for a free Wheels ECO pass. The free pass encourages people to get out of their cars and use transit to get to work, school and recreation. In order to qualify you need to be either an employee within Hacienda or a resident within one of the following residential communities: Archstone, Avila, Siena, or Verona. ECO Passes entitle the bearer to use the Wheels system seven days a week, 365 days a year for free while employed or residing within the park. Wheels buses connect the Tri-Valley area to locations throughout Hacienda. Wheels buses also meet each incoming ACE and BART train during the peak commute hours to shuttle Hacienda employees to their businesses and residents to the respective stations. Wheels Route 70X provides express bus service through the I-680 corridor providing a direct link for people commuting between Hacienda and the Walnut Creek and Pleasant Hill BART stations. ECO Passes can be obtained by visiting the Hacienda website or by calling (925) 734-6551. *ECO passes are non-transferrable and ECO pass holders may be required to present a photo ID to the driver upon boarding the bus. Wheels, along with the County Connection, Tri-Delta Transit and WestCAT are members of the Coordinated Area Transit Systems (CATS), which provides easy transfers between the agencies using the East Bay Value Pass. Tri Delta Transit provides fixed-route and paratransit bus service throughout the communities of Pittsburg, Antioch and Brentwood. WestCat provides fixed-route and paratransit bus service throughout the communities of El Cerrito, Richmond, Pinole, Martinez, and Crockett. County Connection provides fixed-route and paratransit bus service throughout the communities of Concord, Pleasant Hill, Martinez, Walnut Creek, Clayton, Lafayette, Orinda, Moraga, Danville, and San Ramon, as well as unincorporated communities in Central Contra Costa County.